1. The Promotion is valid from 7.00am Monday 4th March until 11.59pm Sunday 31st March 2019 (“Promotional Period”). b. Enter the promotion code in the checkout cart. 3. Free delivery applies to online orders for small to medium sized items for home delivery or collection in store in accordance with The Warehouse delivery terms and conditions. Free delivery excludes delivery or collection of oversized items and curtains. More details on Delivery at The Warehouse can be viewed here https://www.thewarehouse.co.nz/red/content/homepage/customer-services/delivery. 4. Customers may claim Free Delivery on up to a maximum of 5 transactions during the promotional period. 5. Free online delivery will be applied to the transaction prior to completion of payment only if the promotional code sent to you via email is entered. 6. The offer is not available in conjunction with any The Warehouse Group staff offer, insurance or commercial sales or with any other Gift Card promotions and cannot be used in conjunction with any other The Warehouse promotional offers and/or promotional codes. 7. Participation in this promotion is deemed acceptance of any applicable Terms and Conditions. 8. If for any reason SBS Money Limited or The Warehouse Limited are unable to run the promotion as planned, they reserve the right (in their sole discretion) to extend, postpone, amend, reschedule or cancel the Promotion at any time on the provision of reasonable notice, which shall include posting notice of the change on www.warehousemoney.co.nz/deals. 9. SBS Money Limited, The Warehouse and any other agencies associated with this Promotion will not be liable for any loss or damage whatsoever which may be sustained, directly or indirectly by any cardholder in connection with this Promotion, except for any liability which cannot be excluded by law. 10. These terms and conditions are governed by the laws of New Zealand. 1.The Promotion is valid from 7.00am Monday 4th March 2019 until 11.59pm Sunday 31st March 2019 (“Promotional Period”). 2.To be eligible to receive the $20 Noel Leeming Gift Card, you must make a purchase totalling $200 or more on one receipt using your Warehouse Money Visa Card or Purple Visa Card online or in-store at Noel Leeming during the promotional period. 3.Only one $20 Noel Leeming Gift Card will be given for any spend $200 or over during the promotional period. a.Purchases of all Apple products and Microsoft. b.Personal in-store shoppers only, trade not-supplied. c.The $20 Gift Card offer is not available at Noel Leeming Clearance Centres. d.The offer is not available in conjunction with any The Warehouse Group staff offer, insurance or commercial sales or with any other Gift Card promotions and cannot be used in conjunction with any other Noel Leeming promotional offers. e.The $20 Gift Card may not be redeemed against the qualifying purchases. 5.The promotion is open to all new and existing Warehouse Money issued credit card accounts for both Main cardholders and Additional cardholders. 6.Qualifying purchases made by Additional Card holders will result in the gift card being send to the Main Account Holder. 7.Account details must be up to date (including a phone number, email address and postal address) and the account must be open and cannot be in arrears or overdue when the promotional period ends. SBS Money Limited and Noel Leeming will not re-issue or re-send Gift Cards if Main Account Holder’s details are incorrect. It is the Main Account Holders’ responsibility to ensure their account details are correct. 8.If you’re eligible for the $20 Gift Card, it will be mailed out to the Main Account Holder’s postal address within 20 business days after the promotional period ends. 9.The $20 Noel Leeming Gift Card is not transferable or exchangeable and cannot be redeemed for cash. Lost or stolen Gift Cards are the responsibility of the holder. Remaining Gift Card balances can be checked in-store. This Gift Card is redeemable for goods sold at any Noel Leeming store throughout New Zealand (excludes online). 10.The Gift Card must be returned with any returned product. 11.All decisions of SBS Money Limited and Noel Leeming are final and no correspondence or discussion will be entered into. 12.Participation in this promotion is deemed acceptance of any applicable Terms and Conditions. 13.If for any reason SBS Money Limited or Noel Leeming are unable to run the promotion as planned, they reserve the right (in its sole discretion) to extend, postpone, amend, reschedule or cancel the Promotion at any time on the provision of reasonable notice, which shall include posting notice of the change on www.warehousemoney.co.nz/deals. 14.TW Money Limited, Noel Leeming and any other agencies associated with this Promotion will not be liable for any loss or damage whatsoever which may be sustained, directly or indirectly by any cardholder in connection with this Promotion, except for any liability which cannot be excluded by law. 15.Standard terms and conditions of use for Noel Leeming Gift Cards applies. 16.These terms and conditions are governed by the laws of New Zealand. 1. The Promotion is valid from 7.00am Monday 4th February 2019 until 11.59pm Sunday 31st March 2019 (“Promotional Period”). 2. Shop online only at www.1-day.co.nz with your Warehouse Money Visa Card or Purple Visa Card. 4. The voucher can only be used once per customer during the Promotional Period. Visit www.1-day.co.nz/voucherterms. 5. Save $15 when you spend $80 online only, excluding shipping. Can't be used in conjunction with any other voucher code offer or on www.1-daybottle.co.nz. 6. If for any reason SBS Money Limited or 1-day are unable to continue to offer to Save $15 when you spend $80 online only, they reserve the right (in their sole discretion) to extend, postpone, amend, reschedule or cancel the Promotion at any time on the provision of reasonable notice, which shall include posting notice of the change on www.warehousemoney.co.nz/deals. 7. SBS Money Limited, 1-day and any other agencies associated with this Promotion will not be liable for any loss or damage whatsoever which may be sustained, directly or indirectly by any cardholder in connection with this Promotion, except for any liability which cannot be excluded by law. 8. These terms and conditions are governed by the laws of New Zealand. 2.Shop online at www.Torpedo7.co.nz or instore with your Warehouse Money Visa Card or Purple Visa Card. 3. Free delivery applies to online purchases only. 4. It applies to all bikes including Torpedo7 branded bikes purchased online. Excludes Trek, Giant and Liv branded bikes, which can be brought online but will need to be collected from a store. 5. Product availability may vary in stores. 6. Free delivery will be applied to the transaction prior to completion of payment only if the promotional code sent to you via email is entered online. 7. If for any reason SBS Money Limited or Torpedo7 are unable to continue to the offer, they reserve the right (in their sole discretion) to extend, postpone, amend, reschedule or cancel the Promotion at any time on the provision of reasonable notice, which shall include posting notice of the change on www.warehousemoney.co.nz/deals. 8. SBS Money Limited, Torpedo7 and any other agencies associated with this Promotion will not be liable for any loss or damage what so ever which may be sustained, directly or indirectly by any cardholder in connection with this Promotion, except for any liability which cannot be excluded by law. 9. These terms and conditions are governed by the laws of New Zealand. 1. The Promotion is valid from 7.00am Monday 4th February until 11.59pm Sunday 3rd March 2019 (“Promotional Period”). 1. The Promotion is valid from 7.00am Monday 4th February 2019 until 11.59pm Sunday 3rd March 2019 (“Promotional Period”). 3. Free delivery applies to online only orders that would normally incur a $6 delivery charge (classified as small items). Visit https://www.noelleeming.co.nz/delivery for clarification on what is classified as small items. 4. Free online delivery will be applied to the qualifying small item purchase by entering in the promotional code sent to you via email at the checkout online at www.noelleeming.co.nz only. 6. The offer is not available in conjunction with any The Warehouse Group staff offer, insurance or commercial sales or with any other Gift Card promotions and cannot be used in conjunction with any other Noel Leeming promotional offers and/or promotional codes. 8. If for any reason SBS Money Limited or Noel Leeming are unable to run the promotion as planned, they reserve the right (in their sole discretion) to extend, postpone, amend, reschedule or cancel the Promotion at any time on the provision of reasonable notice, which shall include posting notice of the change on www.warehousemoney.co.nz/deals. 9. SBS Money Limited, Noel Leeming and any other agencies associated with this Promotion will not be liable for any loss or damage whatsoever which may be sustained, directly or indirectly by any cardholder in connection with this Promotion, except for any liability which cannot be excluded by law. 1. The Promotion is valid from 7.00am Monday 4th March 2019 until 11.59pm Sunday 3rd March 2019 (“Promotional Period”). 5. Save $10 when you spend $40 online only, excluding shipping. Can't be used in conjunction with any other voucher code offer or on www.1-daybottle.co.nz. 6. If for any reason SBS Money Limited or 1-day are unable to continue to offer to Save $10 when you spend $40 online only, they reserve the right (in their sole discretion) to extend, postpone, amend, reschedule or cancel the Promotion at any time on the provision of reasonable notice, which shall include posting notice of the change on www.warehousemoney.co.nz/deals. 1. The Promotion is valid from 7.00am Monday 4th February 2019 until 11.59pm Sunday 11th February 2019 (“Promotional Period”). 3. Use your Purple Visa card when you shop online at www.Torpedo7.co.nz or instore, to earn Purple Dollar rewards. 4. Product availability may vary in stores. 5. Not available in conjunction with any other offers. 6. If for any reason Torpedo7 are unable to run the promotion as planned, they reserve the right (in their sole discretion) to extend, postpone, amend, reschedule or cancel the Promotion at any time on the provision of reasonable notice, which shall include posting notice of the change on www.warehousemoney.co.nz/deals. 7. SBS Money Limited, Torpedo7 and any other agencies associated with this Promotion will not be liable for any loss or damage what so ever which may be sustained, directly or indirectly by any cardholder in connection with this Promotion, except for any liability which cannot be excluded by law. 1. The Promotion is valid from 7.00am Monday 31st December 2018 until 11.59pm Thursday 31st January 2019 (“Promotional Period”). 8. If for any reason SBS Money Limited or The Warehouse are unable to run the promotion as planned, they reserve the right (in their sole discretion) to extend, postpone, amend, reschedule or cancel the Promotion at any time on the provision of reasonable notice, which shall include posting notice of the change on www.warehousemoney.co.nz/deals. 1. The Promotion is valid from 7.00am Monday 31st December 2018 until 11.59pm Sunday 3rd February 2019 (“Promotional Period”). 2. To be eligible to enter the draw, you must make a purchase totalling $250 or more on one receipt using your Warehouse Money Visa Card or Purple Visa Card instore or online at Noel Leeming during the promotional period. 3. Every purchase that qualifies will automatically go into the draw to win back the spend on one purchase up to the value of $2,000. 4. The offer is not available in conjunction with any The Warehouse Group staff offer, insurance or commercial sales or with any other Gift Card promotions and cannot be used in conjunction with any other Noel Leeming promotional offers. 5. Only one winner and one purchase will be drawn to win back their spend up to the value of $2,000. 6. The random draw will take place 7 business days after the promotional period ends (12th February 2019). 7. The winner will be notified by telephone from the details held by us on their account. If the winner cannot be contacted within 48 hours of the draw, another winner will be drawn on the same terms as the original draw. 8. The promotion is open to all new and existing Warehouse Money issued credit card accounts for both Main cardholders and Additional cardholders. 9. Account details must be up to date (including a phone number) and the account must be open and cannot be in arrears or overdue when the promotional period ends. If the account is not open, it is in arrears or is overdue you will not be eligible to win the prize and a new prize winner will be drawn. 10. If you’re the winner, the credit will be applied to the main cardholder's account within 10 business days after the promotional period ends. 11. The credit applied to the main cardholder’s account is not transferable, exchangeable, refundable if you close your account and cannot be redeemed for cash. 12. All decisions of SBS Money Limited and Noel Leeming are final and no correspondence or discussion will be entered into. 13. Participation in this promotion is deemed acceptance of any applicable Terms and Conditions. 14. If for any reason SBS Money Limited or Noel Leeming are unable to run the promotion as planned, they reserve the right (in their sole discretion) to extend, postpone, amend, reschedule or cancel the Promotion at any time on the provision of reasonable notice, which shall include posting notice of the change on www.warehousemoney.co.nz/deals. 15. SBS Money Limited, Noel Leeming and any other agencies associated with this Promotion will not be liable for any loss or damage whatsoever which may be sustained, directly or indirectly by any cardholder in connection with this Promotion, except for any liability which cannot be excluded by law. 15. These terms and conditions are governed by the laws of New Zealand. 5. Save $20 when you spend $100 online only, excluding shipping. Can't be used in conjunction with any other voucher code offer or on www.1-daybottle.co.nz. 6. If for any reason SBS Money Limited or 1-day are unable to continue to offer to Save $20 when you spend $100 online only, they reserve the right (in their sole discretion) to extend, postpone, amend, reschedule or cancel the Promotion at any time on the provision of reasonable notice, which shall include posting notice of the change on www.warehousemoney.co.nz/deals. 1. The Promotion is valid from 7.00am Monday 31st December 2018 until 11.59pm Tuesday 15th January 2019 (“Promotional Period”). 2. Don’t miss out on the summer sales at Torpedo7, check them out at www.torpedo7.co.nz. 3. Also remember to use your Purple Visa card when you shop online at www.Torpedo7.co.nz or instore, to earn Purple Dollar rewards. 1.The promotion is valid from 7.00am Monday 3 December 2018 until 11.59pm Sunday 30 December 2018 (“Promotional Period”). b.enter the promotion code in the checkout cart. 3.Free delivery applies to online orders for small to medium sized items for home delivery or collection in store in accordance with The Warehouse delivery terms and conditions. Free delivery excludes delivery or collection of oversized items and curtains. More details on Delivery at The Warehouse can be viewed here https://www.thewarehouse.co.nz/red/content/homepage/customer-services/delivery. 4.Customers may claim Free Delivery on up to a maximum of 5 transactions during the promotional period. 5.Free online delivery will be applied to the transaction prior to completion of payment only if the promotional code sent to you via email is entered. 6.The offer is not available in conjunction with any The Warehouse Group staff offer, insurance or commercial sales or with any other Gift Card promotions and cannot be used in conjunction with any other The Warehouse promotional offers and/or promotional codes. 7.Participation in this promotion is deemed acceptance of any applicable Terms and Conditions. 8.If for any reason SBS Money Limited or The Warehouse are unable to run the promotion as planned, they reserve the right (in their sole discretion) to extend, postpone, amend, reschedule or cancel the Promotion at any time on the provision of reasonable notice, which shall include posting notice of the change on www.warehousemoney.co.nz/deals. 9.SBS Money Limited, The Warehouse and any other agencies associated with this Promotion will not be liable for any loss or damage whatsoever which may be sustained, directly or indirectly by any cardholder in connection with this Promotion, except for any liability which cannot be excluded by law. 10. These terms and conditions are governed by the laws of New Zealand. 1.The Promotion is valid from 7.00am Monday 3rd December 2018 until 11.59pm Sunday 30th December 2018 (“Promotional Period”). 2.Shop online only at www.1-day.co.nz with your Warehouse Money Visa Card or Purple Visa Card. 4. The voucher can only be used once per customer during the Promotional Period. Visit www.1-day.co.nz/voucherterms. 5. Save $15 when you spend $60 online only, excluding shipping. Can't be used in conjunction with any other voucher code offer or on www.1-daybottle.co.nz. 6. If for any reason SBS Money Limited or 1-day are unable to continue to offer to Save $15 when you spend $60 online only, they reserve the right (in their sole discretion) to extend, postpone, amend, reschedule or cancel the Promotion at any time on the provision of reasonable notice, which shall include posting notice of the change on www.warehousemoney.co.nz/deals. 7. SBS Money Limited, 1-day and any other agencies associated with this Promotion will not be liable for any loss or damage whatsoever which may be sustained, directly or indirectly by any cardholder in connection with this Promotion, except for any liability which cannot be excluded by law. 8. These terms and conditions are governed by the laws of New Zealand. 3. Free delivery applies to online purchases only. 4. It applies to all bikes including Torpedo7 branded bikes purchased online. Excludes Trek, Giant and Liv branded bikes, which can be brought online but will need to be collected from a store. 5. Product availability may vary in stores. 6. Free delivery will be applied to the transaction prior to completion of payment only if the promotional code sent to you via email is entered online. 7. If for any reason SBS Money Limited or Torpedo7 are unable to continue to the offer, they reserve the right (in their sole discretion) to extend, postpone, amend, reschedule or cancel the Promotion at any time on the provision of reasonable notice, which shall include posting notice of the change on www.warehousemoney.co.nz/deals. 8. SBS Money Limited, Torpedo7 and any other agencies associated with this Promotion will not be liable for any loss or damage what so ever which may be sustained, directly or indirectly by any cardholder in connection with this Promotion, except for any liability which cannot be excluded by law. 9. These terms and conditions are governed by the laws of New Zealand. 1.The Promotion is valid from 7.00am Monday 5th November 2018 until 11.59pm Sunday 02nd December 2018 (“Promotional Period”). b.	enter the promotion code in the checkout cart. 3. Free delivery applies to online only orders that would normally incur a $6 delivery charge (classified as small items). Visit https://www.noelleeming.co.nz/delivery for clarification on what is classified as small items. 4. Free online delivery will be applied to the qualifying small item purchase by entering in the promotional code sent to you via email at the checkout online at www.noelleeming.co.nz only. 5. Free online delivery will be applied to the transaction prior to completion of payment only if the promotional code sent to you via email is entered. 6. The offer is not available in conjunction with any The Warehouse Group staff offer, insurance or commercial sales or with any other Gift Card promotions and cannot be used in conjunction with any other Noel Leeming promotional offers and/or promotional codes. 7. Participation in this promotion is deemed acceptance of any applicable Terms and Conditions. 8. If for any reason SBS Money Limited or Noel Leeming are unable to run the promotion as planned, they reserve the right (in their sole discretion) to extend, postpone, amend, reschedule or cancel the Promotion at any time on the provision of reasonable notice, which shall include posting notice of the change on www.warehousemoney.co.nz/deals. 9. SBS Money Limited, Noel Leeming and any other agencies associated with this Promotion will not be liable for any loss or damage whatsoever which may be sustained, directly or indirectly by any cardholder in connection with this Promotion, except for any liability which cannot be excluded by law. 1. The Promotion is valid from 7.00am Monday 5th November 2018 until 11.59pm Sunday 02nd December 2018 (“Promotional Period”). 2. Shop online at www.Torpedo7.co.nz or instore with your Warehouse Money Visa Card or Purple Visa Card. 6. Free delivery will be applied to the transaction prior to completion of payment only if the promotional code sent to you via email is entered online. If for any reason SBS Money Limited or Torpedo7 are unable to continue to the offer, they reserve the right (in their sole discretion) to extend, postpone, amend, reschedule or cancel the Promotion at any time on the provision of reasonable notice, which shall include posting notice of the change on www.warehousemoney.co.nz/deals. 7. SBS Money Limited, Torpedo7 and any other agencies associated with this Promotion will not be liable for any loss or damage what so ever which may be sustained, directly or indirectly by any cardholder in connection with this Promotion, except for any liability which cannot be excluded by law. 2. Shop online only at www.1-day.co.nz with your Warehouse Money Visa Card or Purple Visa Card. 5. Save $20 when you spend $80 online only, excluding shipping. Can't be used in conjunction with any other voucher code offer or on www.1-daybottle.co.nz. 6. If for any reason SBS Money Limited or 1-day are unable to continue to offer to Save $20 when you spend $80 online only, they reserve the right (in their sole discretion) to extend, postpone, amend, reschedule or cancel the Promotion at any time on the provision of reasonable notice, which shall include posting notice of the change on www.warehousemoney.co.nz/deals. 1.The Promotion is valid from 7.00am Monday 1st October 2018 until 11.59pm Sunday 4th November 2018 (“Promotional Period”). 2.Every purchase at the Noel Leeming stores or online during the promotional period will automatically go into the draw to win back the spend on one purchase up to the value of $2,000, using your Warehouse Money Visa Card or Purple Visa Card. 3.The offer is not available in conjunction with any The Warehouse Group staff offer, insurance or commercial sales or with any other Gift Card promotions and cannot be used in conjunction with any other Noel Leeming promotional offers. 4.Only one winner and one purchase will be drawn to win back their spend up to the value of $2,000. 5.The random draw will take place 7 business days after the promotional period ends (13th November 2018). 6. The winner will be notified by telephone from the details held by us on their account. If the winner is not able to be contacted within 48 hours of the draw, another winner will be drawn on the same terms as the original draw. 7. The promotion is open to all new and existing Warehouse Money issued credit card accounts for both Main cardholders and Additional cardholders. 8. Account details must be up to date (including a phone number) and the account must be open and cannot be in arrears or overdue when the promotional period ends. If the account is not open, it is in arrears or is overdue you will not be eligible to win the prize and a new prize winner will be drawn. 9. If you’re the winner, the credit will be applied to the main cardholder's account within 10 business days after the promotional period ends. 10. The credit applied to the main cardholder’s account is not transferable, exchangeable, refundable if you close your account and cannot be redeemed for cash. 11. All decisions of SBS Money Limited and Noel Leeming are final and no correspondence or discussion will be entered into. 12. Participation in this promotion is deemed acceptance of any applicable Terms and Conditions. 13. If for any reason SBS Money Limited or Noel Leeming are unable to run the promotion as planned, they reserve the right (in their sole discretion) to extend, postpone, amend, reschedule or cancel the Promotion at any time on the provision of reasonable notice, which shall include posting notice of the change on www.warehousemoney.co.nz/deals. 14. SBS Money Limited, Noel Leeming and any other agencies associated with this Promotion will not be liable for any loss or damage whatsoever which may be sustained, directly or indirectly by any cardholder in connection with this Promotion, except for any liability which cannot be excluded by law. 15. These terms and conditions are governed by the laws of New Zealand. 1.The Promotion is valid until 11.59pm Tuesday 16th October 2018 (“Promotional Period”). 3. Save up to 40% off on Vuly and Big Bounce Trampolines. 4. Discount is off the regular retail price or club price if applicable. 6. Not available in conjunction with any other offer, excludes clearance, only while stocks last. 7. If for any reason SBS Money Limited or Torpedo 7 are unable to continue to the offer, they reserve the right (in their sole discretion) to extend, postpone, amend, reschedule or cancel the Promotion at any time on the provision of reasonable notice, which shall include posting notice of the change on www.warehousemoney.co.nz/deals. 8. SBS Money Limited, Torpedo 7 and any other agencies associated with this Promotion will not be liable for any loss or damage what so ever which may be sustained, directly or indirectly by any cardholder in connection with this Promotion, except for any liability which cannot be excluded by law. 1. The Promotion is valid from 7.00am Monday 1st October 2018 until 11.59pm Sunday 4th November 2018 (“Promotional Period”). 5. Save $10 when you spend $30 online only, excluding shipping. Can't be used in conjunction with any other voucher code offer or on www.1-daybottle.co.nz. 6. If for any reason SBS Money Limited or 1-day are unable to continue to offer to Save $10 when you spend $30 online only, they reserve the right (in their sole discretion) to extend, postpone, amend, reschedule or cancel the Promotion at any time on the provision of reasonable notice, which shall include posting notice of the change on www.warehousemoney.co.nz/deals. 1.The Promotion is valid from 7.00am Monday 3rd September 2018 until 11.59pm Sunday 30th September 2018 (“Promotional Period”). 2.To be eligible to receive the $20 Noel Leeming Gift Card, you must make a purchase totalling $200 or more on one receipt using your Warehouse Money Visa Card or Purple Visa Card in-store at Noel Leeming during the promotional period. 3. Only one $20 Noel Leeming Gift Card will be given for any spend $200 or over during the promotional period. a. Purchases of all Apple products and Microsoft. b. Personal in-store shoppers only, trade not-supplied. c.	The $20 Gift Card offer is not available at Noel Leeming Clearance Centre’s. d.	The offer is not available in conjunction with any The Warehouse Group staff offer, insurance or commercial sales or with any other Gift Card promotions and cannot be used in conjunction with any other Noel Leeming promotional offers. e.	The $20 Gift Card may not be redeemed against the qualifying purchases. 5. The promotion is open to all new and existing Warehouse Money issued credit card accounts for both Main cardholders and Additional cardholders. 6. Qualifying purchases made by Additional Card holders will result in the gift card being send to the Main Account Holder. 7. Account details must be up to date (including a phone number, email address and postal address) and the account must be open and cannot be in arrears or overdue when the promotional period ends. TW Money Limited and Noel Leeming will not re-issue or re-send Gift Cards if account holder’s details are incorrect. It is the account holders’ responsibility to ensure their account details are correct. 8. If you’re eligible for the $20 Gift Card, it will be mailed out to the main cardholder’s postal address within 20 business days after the promotional period ends. 9. The $20 Noel Leeming Gift Card is not transferable or exchangeable and cannot be redeemed for cash. Lost or stolen Gift Cards are the responsibility of the holder. Remaining Gift Card balances can be checked in-store. This Gift Card is redeemable for goods sold at any Noel Leeming store throughout New Zealand (excludes online). 10. The Gift Card must be returned with any returned product. 11. All decisions of TW Money Limited and Noel Leeming are final and no correspondence or discussion will be entered into. 13. If for any reason TW Money Limited or Noel Leeming are unable to run the promotion as planned, they reserve the right (in its sole discretion) to extend, postpone, amend, reschedule or cancel the Promotion at any time on the provision of reasonable notice, which shall include posting notice of the change on www.warehousemoney.co.nz/deals. 14. TW Money Limited, Noel Leeming and any other agencies associated with this Promotion will not be liable for any loss or damage whatsoever which may be sustained, directly or indirectly by any cardholder in connection with this Promotion, except for any liability which cannot be excluded by law. 15. Standard terms and conditions of use for Noel Leeming Gift Cards applies. 16. These terms and conditions are governed by the laws of New Zealand. 1. The Promotion is valid from 7.00am Monday 3rd September 2018 until 11.59pm Tuesday 11th September 2018 (“Promotional Period”). 2. Save up to 50% off a huge range of winter gear for all categories except snow. Snow items on sale only until Tuesday 4th September 2018. 3. Visit instore or shop online at www.Torpedo7.co.nz using your Warehouse Money Visa Card or Purple Visa Card. 4. Product availability may vary in stores. 5. Products available only while stocks last. 6. If for any reason TW Money Limited or Torpedo7 are unable to continue to run this offer, they reserve the right (in their sole discretion) to extend, postpone, amend, reschedule or cancel the Promotion at any time on the provision of reasonable notice, which shall include posting notice of the change on www.warehousemoney.co.nz/deals. 7. TW Money Limited, Torpedo7 and any other agencies associated with this Promotion will not be liable for any loss or damage what so ever which may be sustained, directly or indirectly by any cardholder in connection with this Promotion, except for any liability which cannot be excluded by law. 9. Not available in conjunction with any other offer, discount applies to the Regular retail price or club price if applicable. 1. The Promotion is valid from 7.00am Monday 30th July 2018 until 11.59pm Sunday 02nd September 2018 (“Promotional Period”). b. enter the promotion code sent to you via email in the checkout cart. 8. If for any reason TW Money Limited or Noel Leeming are unable to run the promotion as planned, they reserve the right (in their sole discretion) to extend, postpone, amend, reschedule or cancel the Promotion at any time on the provision of reasonable notice, which shall include posting notice of the change on www.warehousemoney.co.nz/deals. 9. TW Money Limited, Noel Leeming and any other agencies associated with this Promotion will not be liable for any loss or damage whatsoever which may be sustained, directly or indirectly by any cardholder in connection with this Promotion, except for any liability which cannot be excluded by law. 1. The Promotion is valid from 7.00am Monday 30 July until 11.59pm Sunday 02nd September 2018 (“Promotional Period”). 3. Enter the voucher code sent to you via email at the checkout. 5. Save $5 on your next online order, excluding shipping. Can't be used in conjunction with any other voucher code offer or on www.1-daybottle.co.nz. 6. If for any reason TW Money Limited or 1-day are unable to continue to offer to Save $5, they reserve the right (in their sole discretion) to extend, postpone, amend, reschedule or cancel the Promotion at any time on the provision of reasonable notice, which shall include posting notice of the change on www.warehousemoney.co.nz/deals. 7. TW Money Limited, 1-day and any other agencies associated with this Promotion will not be liable for any loss or damage whatsoever which may be sustained, directly or indirectly by any cardholder in connection with this Promotion, except for any liability which cannot be excluded by law. 1. The Promotion is valid until 11.59pm Tuesday 7th August 2018 (“Promotional Period”). 2. Shop online at www.Torpedo7.co.nz or visit instore with your Warehouse Money Visa Card or Purple Visa Card. 3. Save 20-40% off selected Outdoor Clothing, Bike & Moto clothing, Wetsuits & Swimwear. 5. Products available only while stocks last. 6. If for any reason TW Money Limited or Torpedo7 are unable to continue to the offer, they reserve the right (in their sole discretion) to extend, postpone, amend, reschedule or cancel the Promotion at any time on the provision of reasonable notice, which shall include posting notice of the change on www.warehousemoney.co.nz/deals. 7. TW Money Limited, Torpedo7 and any other agencies associated with this Promotion will not be liable for any loss or damage what so ever which may be sustained, directly or indirectly by any cardholder in connection with this Promotion, except for any liability which cannot be excluded by law. The Promotion is valid from 7.00am Monday 02 July until 11.59pm Sunday 29th July 2018 (“Promotional Period”). Every purchase at the Noel Leeming stores or online during the promotional period will automatically go into the draw to win back the spend on one purchase up to the value of $2,000, using your Warehouse Money Visa Card or Purple Visa Card. The offer is not available in conjunction with any The Warehouse Group staff offer, insurance or commercial sales or with any other Gift Card promotions and cannot be used in conjunction with any other Noel Leeming promotional offers. Only one winner and one purchase will be drawn to win back their spend up to the value of $2,000. The random draw will take place 7 business days after the promotional period ends (7th August 2018). The winner will be notified by telephone from the details held by us on their account. If the winner is not able to be contacted within 48 hours of the draw, another winner will be drawn on the same terms as the original draw. The promotion is open to all new and existing Warehouse Money issued credit card accounts for both Main cardholders and Additional cardholders. Account details must be up to date (including a phone number) and the account must be open and cannot be in arrears or overdue when the promotional period ends. If the account is not open, it is in arrears or is overdue you will not be eligible to win the prize and a new prize winner will be drawn. If you’re the winner, the credit will be applied to the main cardholder's account within 10 business days after the promotional period ends. The credit applied to the main cardholders account is not transferable, exchangeable, refundable if you close your account or cannot be redeemed for cash. All decisions of TW Money Limited and Noel Leeming are final and no correspondence or discussion will be entered into. Participation in this promotion is deemed acceptance of any applicable Terms and Conditions. If for any reason TW Money Limited or Noel Leeming are unable to run the promotion as planned, they reserve the right (in their sole discretion) to extend, postpone, amend, reschedule or cancel the Promotion at any time on the provision of reasonable notice, which shall include posting notice of the change on www.warehousemoney.co.nz/deals. TW Money Limited, Noel Leeming and any other agencies associated with this Promotion will not be liable for any loss or damage whatsoever which may be sustained, directly or indirectly by any cardholder in connection with this Promotion, except for any liability which cannot be excluded by law. SAVE $20 when you spend $100! *02 July - 29 July 2018Terms and ConditionsThe Promotion is valid from 7.00am Monday 02 July until 11.59pm Sunday 29th July 2018 (“Promotional Period”).Shop online only at www.1-day.co.nz with your Warehouse Money Visa Card or Purple Visa Card. Enter the unique code sent to you via email at the checkout The voucher can only be used once per customer during the Promotional Period. Visit www.1-day.co.nz/voucherterms. Save $20 when you spend $100 online only, excluding shipping. Can't be used in conjunction with any other voucher code offer or on www.1-daybottle.co.nz.If for any reason TW Money Limited or 1-day are unable to continue to offer to Save $20 when you spend $100 online only, they reserve the right (in their sole discretion) to extend, postpone, amend, reschedule or cancel the Promotion at any time on the provision of reasonable notice, which shall include posting notice of the change on www.warehousemoney.co.nz/deals. TW Money Limited, 1-day and any other agencies associated with this Promotion will not be liable for any loss or damage whatsoever which may be sustained, directly or indirectly by any cardholder in connection with this Promotion, except for any liability which cannot be excluded by law. These terms and conditions are governed by the laws of New Zealand. The Promotion is valid from 7.00am Tuesday 5th June 2018 until 11.59pm Sunday 1st July 2018 (“Promotional Period”). To be eligible to receive the $20 Noel Leeming Gift Card, you must make a purchase totalling $200 or more on one receipt using your Warehouse Money Visa Card or Purple Visa Card in-store at Noel Leeming during the promotional period. Only one $20 Noel Leeming Gift Card will be given for any spend $200 or over during the promotional period. A)The $20 Noel Leeming Gift Card received when you spend $200 and over on one receipt excludes purchases of all Apple products and Microsoft Surface. B) Personal in-store shoppers only, trade not-supplied. The $20 Gift Card offer is not available at Noel Leeming Clearance Centre. The $20 Gift Card may not be redeemed against the qualifying purchases. The Gift card must be returned with any returned product. If the qualifying purchases is made using the Additional cardholder’s card, then it will be recorded against the Main cardholder’s account and the $20 Gift Card will be awarded to the Main cardholder. Account details must be up to date (including a phone number, email address and postal address) and the account must be open and cannot be in arrears or overdue when the promotional period ends. TW Money Limited and Noel Leeming will not re-issue or re-send Gift Cards if account holder’s details are incorrect. It is the account holders’ responsibility to ensure their account details are correct. If you’re eligible for the $20 Gift Card, it will be mailed out to the main cardholder’s postal address within 20 business days after the promotional period ends. The $20 Noel Leeming Gift Card is not transferrable or exchangeable and cannot be redeemed for cash. Lost or stolen Gift Cards are the responsibility of the holder. Remaining Gift Card balances can be checked in-store. This Gift Card is redeemable for goods sold at any Noel Leeming store throughout New Zealand (excludes online). If for any reason TW Money Limited or Noel Leeming are unable to run the promotion as planned, they reserve the right (in its sole discretion) to extend, postpone, amend, reschedule or cancel the Promotion at any time on the provision of reasonable notice, which shall include posting notice of the change on www.warehousemoney.co.nz/deals. Standard terms and conditions of use for Noel Leeming Gift Cards applies. Shop online only at www.1-day.co.nz with your Warehouse Money Visa Card or Purple Visa Card. The voucher can only be used once per customer during the Promotional Period. Visit www.1-day.co.nz/voucherterms. Save $5 when you spend $30 online only, excluding shipping. Can't be used in conjunction with any other voucher code offer or on www.1-daybottle.co.nz. If for any reason TW Money Limited or 1-day are unable to continue to offer to Save $5 when you spend $30 online only, they reserve the right (in their sole discretion) to extend, postpone, amend, reschedule or cancel the Promotion at any time on the provision of reasonable notice, which shall include posting notice of the change on www.warehousemoney.co.nz/deals. TW Money Limited, 1-day and any other agencies associated with this Promotion will not be liable for any loss or damage whatsoever which may be sustained, directly or indirectly by any cardholder in connection with this Promotion, except for any liability which cannot be excluded by law. The Promotion is valid from 7.00am Monday 30th April 2018 until 11.59pm Sunday 27th May 2018 (“Promotional Period”). To be eligible for free delivery on small items you must: a) use your Warehouse Money Visa Card or Purple Visa Card to purchase a product online at www.noelleeming.co.nz during the promotional period; b) enter the promotion code sent to you via email in the checkout cart. Free delivery applies to online only orders that would normally incur a $6 delivery charge (classified as small items). Visit https://www.noelleeming.co.nz/delivery for clarification on what is classified as small items. Free online delivery will be applied to the qualifying small item purchase by entering in the unique code sent to you via email at the checkout online at www.noelleeming.co.nz only. Free online delivery will be applied to the transaction prior to completion of payment only if the promotional code sent to you via email is entered. The offer is not available in conjunction with any The Warehouse Group staff offer, insurance or commercial sales or with any other Gift Card promotions and cannot be used in conjunction with any other Noel Leeming promotional offers and/or promotional codes. Save $20 when you spend $100 online only, can't be used in conjunction with any other voucher code offer. If for any reason TW Money Limited or 1-day are unable to continue to offer to Save $20 when you spend $100 online only, they reserve the right (in their sole discretion) to extend, postpone, amend, reschedule or cancel the Promotion at any time on the provision of reasonable notice, which shall include posting notice of the change on www.warehousemoney.co.nz/deals. Shop online only at www.Torpedo7.co.nz with your Warehouse Money Visa Card or Purple Visa Card to receive an extra 20% off all clearance. Enter the voucher code sent to you via email in the checkout cart. Limited to one purchase per customer during the Promotional Period. Online offer only, can't be used in conjunction with any other promotional offer and/or promotional code. Delivery fees apply to online purchases. If for any reason TW Money Limited or Torpedo7 are unable to continue to offer an extra 20% off all clearance, they reserve the right (in their sole discretion) to extend, postpone, amend, reschedule or cancel the Promotion at any time on the provision of reasonable notice, which shall include posting notice of the change on www.warehousemoney.co.nz/deals. TW Money Limited, Torpedo7 and any other agencies associated with this Promotion will not be liable for any loss or damage whatsoever which may be sustained, directly or indirectly by any cardholder in connection with this Promotion, except for any liability which cannot be excluded by law. Shop online only at www.shotgun.co.nz with your Warehouse Money Visa Card or Purple Visa Card. Enter the unique code sent to you via email at the checkout. Get 10% off almost everything, excludes clearance and protein bars. Can't be used in conjunction with any other promotional offer and/or promotional code. If for any reason TW Money Limited or Shotgun Supplements are unable to continue to offer the 10% off almost everything, they reserve the right (in their sole discretion) to extend, postpone, amend, reschedule or cancel the Promotion at any time on the provision of reasonable notice, which shall include posting notice of the change on www.warehousemoney.co.nz/deals. TW Money Limited, Shotgun Supplements and any other agencies associated with this Promotion will not be liable for any loss or damage whatsoever which may be sustained, directly or indirectly by any cardholder in connection with this Promotion, except for any liability which cannot be excluded by law. The Promotion is valid from 7.00am Tuesday 3rd April until 11.59pm Sunday 29th April 2018 (“Promotional Period”). Every purchase at the Noel Leeming stores during the promotional period will automatically go into the draw to win back the spend on one purchase up to the value of $2,000, using your Warehouse Money Visa Card or Purple Visa Card. The random draw will take place 7 business days after the promotional period ends (8th May 2018). 1. The Promotion is valid from 7.00am Wednesday 7th February 2018 until 11.59pm Sunday 4th March 2018 (“Promotional Period”). 5. Save $10 when you spend $30 online only, can't be used in conjunction with any other voucher code offer. 6. If for any reason TW Money Limited or 1-day are unable to continue to offer to Save $10 when you spend $30 online only, they reserve the right (in their sole discretion) to extend, postpone, amend, reschedule or cancel the Promotion at any time on the provision of reasonable notice, which shall include posting notice of the change on www.warehousemoney.co.nz/deals. 2. Shop online only at www.Torpedo7.co.nz with your Warehouse Money Visa Card or Purple Visa Card to receive an extra 50% off club price on Torpedo7 Down and Rain Jackets. 3. Enter the voucher code sent to you via email in the checkout cart. Excludes Clearance. 4. Limited to one purchase per customer during the Promotional Period. 5. Online offer only, can't be used in conjunction with any other promotional offer and/or promotional code. 6. Delivery fees apply to online purchases. 7. If for any reason TW Money Limited or Torpedo7 are unable to continue to offer an extra 50% off club price on Torpedo7 Down and Rain Jackets, they reserve the right (in their sole discretion) to extend, postpone, amend, reschedule or cancel the Promotion at any time on the provision of reasonable notice, which shall include posting notice of the change on www.warehousemoney.co.nz/deals. 8. TW Money Limited, Torpedo7 and any other agencies associated with this Promotion will not be liable for any loss or damage whatsoever which may be sustained, directly or indirectly by any cardholder in connection with this Promotion, except for any liability which cannot be excluded by law. 4. Free online delivery will be applied to the qualifying small item purchase by entering in the unique code sent to you via email at the checkout online at www.noelleeming.co.nz only. 2. Shop online only at www.no1fitness.co.nz with your Warehouse Money Visa Card or Purple Visa Card. 3. Enter the unique code sent to you via email at the checkout. 4. Get 25% off almost everything online only, excludes clearance and can't be used in conjunction with any other promotional offer and/or promotional code. Discount applies to regular retail prices. 5. If for any reason TW Money Limited or Number One Fitness are unable to continue to offer the 25% off almost everything, they reserve the right (in their sole discretion) to extend, postpone, amend, reschedule or cancel the Promotion at any time on the provision of reasonable notice, which shall include posting notice of the change on www.warehousemoney.co.nz/deals. 6. TW Money Limited, Number One Fitness and any other agencies associated with this Promotion will not be liable for any loss or damage whatsoever which may be sustained, directly or indirectly by any cardholder in connection with this Promotion, except for any liability which cannot be excluded by law. 7. These terms and conditions are governed by the laws of New Zealand. 2. Shop online only at www.shotgun.co.nz with your Warehouse Money Visa Card or Purple Visa Card. 4. Get 10% off almost everything, excludes clearance and protein bars. Can't be used in conjunction with any other promotional offer and/or promotional code. 5. Delivery fees apply to online purchases. 6. If for any reason TW Money Limited or Shotgun Supplements are unable to continue to offer the 10% off almost everything, they reserve the right (in their sole discretion) to extend, postpone, amend, reschedule or cancel the Promotion at any time on the provision of reasonable notice, which shall include posting notice of the change on www.warehousemoney.co.nz/deals. 7. TW Money Limited, Shotgun Supplements and any other agencies associated with this Promotion will not be liable for any loss or damage whatsoever which may be sustained, directly or indirectly by any cardholder in connection with this Promotion, except for any liability which cannot be excluded by law. 1. The Promotion is valid from 7.00am Monday 8th January 2018 until 11.59pm Monday 5th February 2018 (“Promotional Period”). 2. Every purchase at the Noel Leeming stores during the promotional period will automatically go into the draw to win back the spend on one purchase up to the value of $2,000, using your Warehouse Money Visa Card or Purple Visa Card. 3. The offer is not available in conjunction with any The Warehouse Group staff offer, insurance or commercial sales or with any other Gift Card promotions and cannot be used in conjunction with any other Noel Leeming promotional offers. 4. Only one winner and one purchase will be drawn to win back their spend up to the value of $2,000. 5. The random draw will take place 7 business days after the promotional period ends (14th February 2018). 6. The winner will be notified by telephone from the details held by us on their account. If the winner is not able to be contacted within 48 hours of the draw, another winner will be drawn on the same terms as the original draw. 7. The promotion is open to all new and existing Warehouse Money issued credit card accounts for both Main cardholders and Additional cardholders. 8. Account details must be up to date (including a phone number) and the account must be open and cannot be in arrears or overdue when the promotional period ends. If the account is not open, it is in arrears or is overdue you will not be eligible to win the prize and a new prize winner will be drawn. 9. If you’re the winner, the credit will be applied to the main cardholder's account within 10 business days after the promotional period ends. 10. The credit applied to the main cardholders account is not transferable, exchangeable, refundable if you close your account or cannot be redeemed for cash. 11. All decisions of TW Money Limited and Noel Leeming are final and no correspondence or discussion will be entered into. 12. Participation in this promotion is deemed acceptance of any applicable Terms and Conditions. 13. If for any reason TW Money Limited or Noel Leeming are unable to run the promotion as planned, they reserve the right (in their sole discretion) to extend, postpone, amend, reschedule or cancel the Promotion at any time on the provision of reasonable notice, which shall include posting notice of the change on www.warehousemoney.co.nz/deals. 14. TW Money Limited, Noel Leeming and any other agencies associated with this Promotion will not be liable for any loss or damage whatsoever which may be sustained, directly or indirectly by any cardholder in connection with this Promotion, except for any liability which cannot be excluded by law. 2. Shop online only at www.Torpedo7.co.nz with your Warehouse Money Visa Card or Purple Visa Card to receive an extra 25% off club price on all hiking, running and cycle footwear. 5. Online offer only, can't be used in conjunction with any other offer. 7. If for any reason TW Money Limited or Torpedo7 are unable to continue to offer an extra 25% off club price on all hiking, running and cycle footwear, they reserve the right (in their sole discretion) to extend, postpone, amend, reschedule or cancel the Promotion at any time on the provision of reasonable notice, which shall include posting notice of the change on www.warehousemoney.co.nz/deals. 4. The voucher can only be used once per customer during the Promotional Period. 5. Save $5 when you spend online only, can't be used in conjunction with any other voucher code offer. 6. If for any reason TW Money Limited or 1-day are unable to continue to offer to Save $5 when you spend online only, they reserve the right (in their sole discretion) to extend, postpone, amend, reschedule or cancel the Promotion at any time on the provision of reasonable notice, which shall include posting notice of the change on www.warehousemoney.co.nz/deals. c. enter the promotional code sent to you via email in the checkout cart. 3. Free online delivery will be applied to the transaction prior to completion of payment only if the promotional code we provided you is entered. 4. This is an online offer only, can't be used in conjunction with any other offer. 5. If for any reason TW Money Limited or Number One Fitness are unable to continue to offer free delivery for purchases over $199, they reserve the right (in their sole discretion) to extend, postpone, amend, reschedule or cancel the Promotion at any time on the provision of reasonable notice, which shall include posting notice of the change on www.warehousemoney.co.nz/deals. 10% off* almost everything, excludes clearance and protein bars. 4. Get 10% off almost everything, excludes clearance and protein bars. Can't be used in conjunction with any other offer. 1. The Promotion is valid from 7:00am Monday 27th November 2017 until 11:59am Sunday 7th January 2018 (“Promotional Period”). 2. To be eligible to receive the $20 Noel Leeming Gift Card, you must make a purchase totalling $200 or more on one receipt using your Warehouse Money Visa Card or Purple Visa Card in-store at Noel Leeming during the promotional period. 3. Only one $20 Noel Leeming Gift Card will be given for any spend $200 or over during the promotional period. a. The $20 Noel Leeming Gift Card received when you spend $200 and over on one receipt excludes purchases of all Apple products and Microsoft Surface. b. Personal in-store shoppers only, trade not-supplied. The $20 Gift Card offer is not available at Noel Leeming Clearance Centre. c. The offer is not available in conjunction with any The Warehouse Group staff offer, insurance or commercial sales or with any other Gift Card promotions and cannot be used in conjunction with any other Noel Leeming promotional offers. d. The $20 Gift Card may not be redeemed against the qualifying purchases. The Gift card must be returned with any returned product. 5. The promotion is open to all new and existing Warehouse Money issued credit card accounts for both Main cardholders and Additional cardholders. 6. If spend is determined to be the result of an Additional cardholder's use of their card, then it will be recorded against the Main cardholder's account and the $20 Gift Card will be awarded to the Main cardholder. 7. Account details must be up to date (including a phone number, email address and postal address) and the account must be open and cannot be in arrears or ovedue when the promotional period ends. TW Money Limited and Noel Leeming will not re-issue or re-send Gift Cards if account holders details are incorrect. It is the account holders' responsibility to ensure their account details are correct. 8. If you’re eligible for the $20 Noel Leeming Gift Card, it will be mailed out to the main cardholder's postal address within 20 business days after the promotional period ends. 9. The $20 Noel Leeming Gift Card is not transferrable or exchangeable and cannot be redeemed for cash. Gift card includes GST. Lost or stolen Gift Cards are the responsibility of the holder. Remaining Gift Card balances can be checked in-store. This Gift Card is redeemable for goods sold at any Noel Leeming store throughout New Zealand (excludes online). 10. All decisions of TW Money Limited and Noel Leeming are final and no correspondence or discussion will be entered into. 11. Participation in this promotion is deemed acceptance of any applicable Terms and Conditions. 12. If for any reason TW Money Limited or Noel Leeming are unable to run the Promotion as planned, they reserve the right (in its sole discretion) to extend, postpone, amend, reschedule or cancel the promotion at any time on the provision of reasonable notice, which shall include posting notice of the change on www.warehousemoney.co.nz/deals. 13. TW Money Limited, Noel Leeming and any other agencies associated with this Promotion will not be liable for any loss or damage whatsoever which may be sustained, directly or indirectly by any cardholder in connection with this Promotion, except for any liability which cannot be excluded by law. 14. Standard terms and conditions of use for Noel Leeming Gift Cards applies. 1. The Promotion is valid from 7.00am Monday 27th November until 11.59pm Sunday 7th January 2018 (“Promotional Period”). 2. Shop online only at www.Torpedo7.co.nz with your Warehouse Money Visa Card or Purple Visa Card to receive an extra 40% off club price on Torpedo7 Merino clothing, when you enter the voucher code sent to you via email in the checkout cart. Excludes Clearance. 3. Limited to one purchase per customer during the Promotional Period. 4. Online offer only, can't be used in conjunction with any other offer. 5. If for any reason TW Money Limited or Torpedo7 are unable to continue to offer an extra 40% off club price on Torpedo7 Merino clothing, they reserve the right (in its sole discretion) to extend, postpone, amend, reschedule or cancel the Promotion at any time on the provision of reasonable notice, which shall include posting notice of the change on www.warehousemoney.co.nz/deals. 6. TW Money Limited, Torpedo7 and any other agencies associated with this Promotion will not be liable for any loss or damage whatsoever which may be sustained, directly or indirectly by any cardholder in connection with this Promotion, except for any liability which cannot be excluded by law. SAVE $5 when you spend $20! 4. Save $5 when you spend online only, can't be used in conjunction with any other offer. 5. If for any reason TW Money Limited or 1-day are unable to continue to offer to Save $5 when you spend online only, they reserve the right (in its sole discretion) to extend, postpone, amend, reschedule or cancel the Promotion at any time on the provision of reasonable notice, which shall include posting notice of the change on www.warehousemoney.co.nz/deals. 6. TW Money Limited, 1-day and any other agencies associated with this promotion will not be liable for any loss or damage whatsoever which may be sustained, directly or indirectly by any cardholder in connection with this Promotion, except for any liability which cannot be excluded by law. 4. Get 25% off almost everything online only, excludes clearance and can't be used in conjunction with any other offer. 5. If for any reason TW Money Limited or Number One Fitness are unable to continue to offer the 25% off almost everything, they reserve the right (in its sole discretion) to extend, postpone, amend, reschedule or cancel the Promotion at any time on the provision of reasonable notice, which shall include posting notice of the change on www.warehousemoney.co.nz/deals. 4. Get 20% off Myprotein supplement online only, excludes clearance and can't be used in conjunction with any other offer. 6. TW Money Limited, Shotgun Supplements and any other agencies associated with this promotion will not be liable for any loss or damage whatsoever which may be sustained, directly or indirectly by any cardholder in connection with this Promotion, except for any liability which cannot be excluded by law. 1. The Promotion is valid from 7.00am Monday 4th December until 11.59pm Sunday 17th December 2017 (“Promotional Period”). 4. Purple Dollars earned can be spent in-store at The Warehouse. 5. Purchases are any transactions other than a Cash Advance, Balance Transfer, loan repayments, credit card repayment, insurance premiums, fees and interest, and excludes Purple Dollar redemption, purchase refund or charges that are under dispute or are fraudulent. 6. Any Purple Dollars you earn in a day won’t be added to your Purple Dollar balance on Warehouse Money Connect until we process the transactions. This may take up to 3 business days. 7. Any Purple Dollars you redeem in a day won’t be shown in Warehouse Money Connect until the following day. 8. The Promotion is open to all new and existing Purple Visa Card accounts and both Main cardholders and Additional cardholders. 10. Except for any liability that cannot be excluded by law, the Finance Now Group, including any officers, employees and agents, exclude all liability (including negligence), for any direct, indirect, special or consequential loss or damage or injury (including without limitation loss of opportunity) arising in any way out of the promotion, including without limitation where arising out of the following: (a) any technical difficulties or equipment malfunction (whether or not under the control of any member of the Finance Now Group); (b) any theft, unauthorised access or third party interference; (c) any entry that is late, lost, altered, damaged or misdirected (whether or not after their receipt of any member of the Finance Now Group) due to any reason beyond the reasonable control of TW Money Limited; or (d) any tax liability incurred by the recipient in respect of the receipt of the Purple Dollars. 11. These terms and conditions are governed by the laws of New Zealand. 12. The General Terms and Conditions for Purple Visa Card apply to this Promotion and can be found at warehousemoney.co.nz/cards/purple-visa-card. Any capitalised terms used in these terms and conditions but not defined shall have their meaning in the General Terms and Conditions. 1. The Promoter is TW Money Limited (“TWML”), 109 Carlton Gore Road, Newmarket, Auckland. 2. The promotion period begins on Tuesday 24 October until Sunday 26 November 2017 (“Promotional Period”). b) enter the promotional code sent to you via email in the checkout cart. 4. Free delivery applies to online only orders that would normally incur a $6 delivery charge (classified as small items). 6. Free online delivery will be applied to the transaction prior to completion of payment only if the promotional code we provided you is entered. 9. TWML, Noel Leeming and any other agencies associated with this promotion will not be liable for any loss or damage whatsoever which may be sustained, directly or indirectly by any cardholder in connection with this promotion, except for any liability which cannot be excluded by law. 3. Shop online only at www.Torpedo7.co.nz with your Warehouse Money Visa Card or Purple Visa Card to receive 35% off the regular price of Torpedo7 fast flow drink bottle 750ml, when you enter the voucher code sent to you via email in the checkout cart. Excludes Clearance. 5. Excludes shipping and can't be used in conjunction with any other coupon. 6. Online offer only, can't be used in conjunction with any other offer. 8. TWML, Torpedo7 and any other agencies associated with this promotion will not be liable for any loss or damage whatsoever which may be sustained, directly or indirectly by any cardholder in connection with this promotion, except for any liability which cannot be excluded by law. SAVE $5, no minimum spend! 3. Shop online only at www.1-day.co.nz with your Warehouse Money Visa Card or Purple Visa Card. 4. Enter the unique code sent you by email at the checkout. 5. Save $5 when you spend online only with no minimum spend, can't be used in conjunction with any other offer. 6. If for any reason TWML or 1-day are unable to continue to offer to Save $5 when you spend online only, they reserve the right to extend, postpone, amend, reschedule or cancel (Change) the promotion at any time on the provision of reasonable notice, which shall include posting notice of the change on www.warehousemoney.co.nz/deals. 7. TWML, 1-day and any other agencies associated with this promotion will not be liable for any loss or damage whatsoever which may be sustained, directly or indirectly by any cardholder in connection with this promotion, except for any liability which cannot be excluded by law. 2. The promotion period begins on Tuesday 24th October until Sunday 26th November 2017 (“Promotional Period”). 3. Shop online only at www.no1fitness.co.nz with your Warehouse Money Visa Card or Purple Visa Card. 4. Enter the unique code sent to you via email at the checkout. 5. Get free shipping on all products (excluding clearance). 8. TWML, Number One Fitness and any other agencies associated with this promotion will not be liable for any loss or damage whatsoever which may be sustained, directly or indirectly by any cardholder in connection with this promotion, except for any liability which cannot be excluded by law. 3. Shop online only at www.shotgun.co.nz with your Warehouse Money Visa Card or Purple Visa Card. 5. *Get 10% off almost everything online only, excludes clearance and can't be used in conjunction with any other offer. 7. TWML, Shotgun Supplements and any other agencies associated with this promotion will not be liable for any loss or damage whatsoever which may be sustained, directly or indirectly by any cardholder in connection with this promotion, except for any liability which cannot be excluded by law. 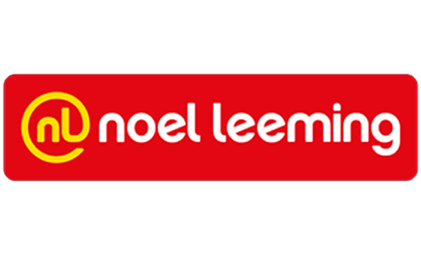 WIN your money back with Noel Leeming! 2. The promotion period begins on Monday 25 September until Sunday 22 October 2017 (“Promotional Period”). 3. Every purchase at the Noel Leeming stores during the promotional period using your Warehouse Money Visa Card or Purple Visa Card will automatically go into the draw to win back the spend on one purchase to the value of $2,000. a) personal in-store shoppers only, trade not-supplied. b) the offer is not available in conjunction with any The Warehouse Group staff offer, insurance or commercial sales or with any other Gift Card promotions and cannot be used in conjunction with any other Noel Leeming promotional offers. 5. Only one winner and one purchase will be drawn to win back their spend to the value of $2,000. 6. The random draw will take place on 4th November 2017. 7. The winner will be notified by telephone. If the winner is not able to be contacted within 48 hours of the draw, another winner will be drawn on the same terms as the original draw. 9. Account details must be up to date (including a phone number) and the account must be open and cannot be in arrears or overdue when the promotional period ends. 11. The credit applied to your account is not transferrable, exchangeable, refundable if you close your account or cannot be redeemed for cash. 12. All decisions of TWML are final and no correspondence or discussion will be entered into. 14. If for any reason beyond its reasonable control TWML is not able to run the promotion as planned, TWML reserves the right in its sole discretion to postpone, extend, amend, re-schedule or cancel (“Change”) the promotion at any time on the provision of reasonable notice, which shall include posting notice of the change at www.warehousemoney.co.nz. 15. TWML, Noel Leeming and any other agencies associated with this promotion will not be liable for any loss or damage whatsoever which may be sustained, directly or indirectly by any cardholder in connection with this promotion, except for any liability which cannot be excluded by law. 16. These terms and conditions are governed by the laws of New Zealand. 3. Shop online only at www.Torpedo7.co.nz with your Warehouse Money Visa Card or Purple Visa Card to receive 40% off the regular price of Torpedo7 Kids Bikes & Torpedo7 Bike Helmets, when you enter the voucher code sent to you via email in the checkout cart. Excludes Clearance. 7. If for any reason TWML or Torpedo7 are unable to continue to offer the 40% off Torpedo7 Kids Bikes & Torpedo7 Bike Helmets, they reserve the right to extend, postpone, amend, reschedule or cancel (Change) the promotion at any time on the provision of reasonable notice, which shall include posting notice of the change on www.warehousemoney.co.nz. Save $10 when you spend $30! 2. The promotion period begins on Tuesday 26 September until Sunday 22 October 2017 (“Promotional Period”). 4. Enter the unique code sent to you by email at the checkout. 5. Save $10 when you spend $30 online only, can't be used in conjunction with any other offer. 6. If for any reason TWML or 1-day are unable to continue to offer the Save $10 when you spend $30 online only promotion, they reserve the right to extend, postpone, amend, reschedule or cancel (Change) the promotion at any time on the provision of reasonable notice, which shall include posting notice of the change on www.warehousemoney.co.nz. 7. If for any reason TWML or Number One Fitness are unable to continue free shipping on all products, they reserve the right to extend, postpone, amend, reschedule or cancel (Change) the promotion at any time on the provision of reasonable notice, which shall include posting notice of the change on www.warehousemoney.co.nz. 5. Get 20% off Shotgun branded supplements online only, can't be used in conjunction with any other offer. 6. If for any reason TWML or Shotgun Supplements are unable to continue to offer the 20% off Shotgun branded supplements, they reserve the right to extend, postpone, amend, reschedule or cancel (Change) the promotion at any time on the provision of reasonable notice, which shall include posting notice of the change on www.warehousemoney.co.nz. 2. The promotion period begins on Monday 28 August until Sunday 24 September 2017 (“Promotional Period”). b) Enter the unique code we sent you via email at checkout. 5. Free online delivery will be applied to the qualifying small item purchase by entering in the unique code we sent you via email at the checkout online at www.noelleeming.co.nz only. 8. If for any reason TWML or Noel Leeming are unable to continue to offer Free Delivery they reserve the right to extend, postpone, amend, reschedule or cancel (Change) the promotion at any time on the provision of reasonable notice, which shall include posting notice of the change on www.warehousemoney.co.nz. 3. Shop online only at www.Torpedo7.co.nz with your Warehouse Money Visa Card or Purple Visa Card to receive 30% off Clothing in your Online order, when you enter the voucher code we sent you via email at the checkout. Excludes Clearance. 7. If for any reason TWML or Torpedo7 are unable to continue to offer the 30% off Clothing, they reserve the right to extend, postpone, amend, reschedule or cancel (Change) the promotion at any time on the provision of reasonable notice, which shall include posting notice of the change on www.warehousemoney.co.nz. *Get 25% off Strength, Cardio and Trampolines online only, excludes clearance and Vuly trampolines. 3. Shop online only at www.no1fitness.co.nz with your Warehouse Money Visa Card or Purple Visa Card, shipping not included. 4. Enter the unique code we sent you via email at checkout. 5. *Get 25% off Strength, Cardio and Trampolines online only, excludes clearance and Vuly trampolines. 7. If for any reason TWML or Number One Fitness are unable to continue to offer the 25% off Strength, Cardio and Trampolines, they reserve the right to extend, postpone, amend, reschedule or cancel (Change) the promotion at any time on the provision of reasonable notice, which shall include posting notice of the change on www.warehousemoney.co.nz. 5. Get 10% off Sitewide online only. 7. If for any reason TWML or Shotgun Supplements are unable to continue to offer the 10% off Sitewide product, they reserve the right to extend, postpone, amend, reschedule or cancel (Change) the promotion at any time on the provision of reasonable notice, which shall include posting notice of the change on www.warehousemoney.co.nz. 8. TWML, Shotgun Supplements and any other agencies associated with this promotion will not be liable for any loss or damage whatsoever which may be sustained, directly or indirectly by any cardholder in connection with this promotion, except for any liability which cannot be excluded by law. © Warehouse Money 2019. All rights reserved. Information on this website is of a general nature only and isn’t advice. If you’d like advice that takes into account your particular situation please contact a financial adviser. Warehouse Money Visa Card and Purple Visa Card are issued by SBS Money Limited trading as Warehouse Money. Warehouse Money Card Protect is underwritten by Sovereign Assurance Company Limited.